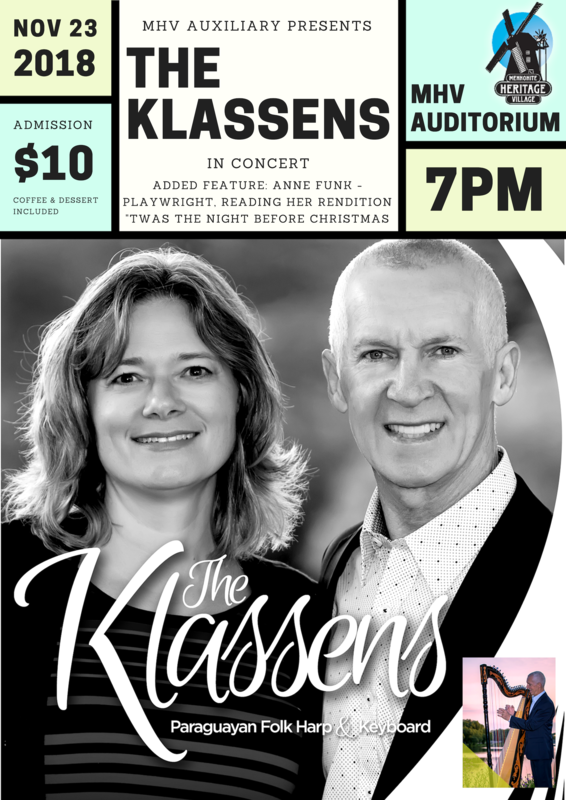 Paraguayan Folk Harp & Keyboard Music performed by The Klassens. Also an added feature: Playwright Anne Funk reading her rendition of Twas The Night Before Christmas. Admission $10 includes coffee and desserts.